Rashi to Bamidbar 13:26, on the words וילכו ויבאו, explains that the spies left with the intention of slandering, just as when they came back. Why does it say “and they went” [when they are returning]? To connect their going with their coming. Just as their coming was with an evil plan, so was their going with an evil plan. And Moshe knew about this, as he prayed that Yehoshua be saved from their evil plan, as Rashi explains on verse 16. So why did Moshe send the spies if he knew they had poor intentions? Even if he felt like his hand was forced - what would it look like if the people was asking for a report on what Eretz Yisrael looked like (see Rashi to v. 2) and he refused? - then why didn’t he pick better candidates? When talking about the behavior of the fathers of our nation an important distinction must be made - knowing the TRUTH לכתחילה or בדיעבד. Many Torah stories show that there's no way לכתחילה of knowing whether a certain behavior was a Mitzvah or a sin, only בדיעבד, when Torah explicitly judges it. For example, Jacob deceiving his father, Yehuda and Tamar, Moses breaking the Luchos or Aharon making the Golden Calf - all of them looked as definite transgressions and turned out to be Mitzvot; or the opposite - Moses hitting the rock - turned out to be a sin. Same is true for the various arguments between the leaders of our nation - in the moment of the argument we can not possibly know its outcome (think Yossef vs Brothers or R' Eliezer vs Rabbis). It is only בדיעבד, when HKB"H picks a side and reveals us who "the Oscar goes to...". 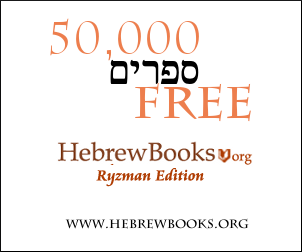 To wit, would you consider it outrageous, if HKB"H would pick R' Eliezer's side and kill all the Rabbis for rebelling him and the heaven's decree? Moses and Yehoshua held that despite the high spiritual level of Dor Hamidbar, the people could possibly change their designation from Torah scholars (Toratam Omanutam) to Torah warriors (Dor Ha'aretz) and be physically engaged in the conquest (so called "קידוש החומר"). Unfortunately (as it always happens with our Rabbis) they were all prejudiced, and they all decided the outcome before they even started the journey, hence the Haykesh of the Gemmorah. Therefore Moses warned Yehoshua not to change his mind, knowing that the spies will not change theirs. As we can see, when they returned, they all interpreted the facts they observed in the Land to prove their points - Yehosua claimed the severity of the situation with the evil nations proves our strengths and our trust in Hashem, while the leaders claimed the danger of falling is inevitable, and staying in the Desert is the only solution. Moses would definitely not fail the whole nation if he knew in advance they gonna kill them all, don't you think? THat was a sure Rodef, so he could arrest them and even get them killed as the King. Therefore, Moses knew that they think differently, he did not know what HKB"A will choose. I really hope it sheds some light on the Parshah. NB. Very same logic applies to other disputes, like Korakh etc. How could Zimri be Shelumiel?